Teresa Pearce MP is delighted to see Fitness for Human Habitation Bill get one step nearer to becoming law. Teresa was one of many MPs on hand to see the Bill safely through its Third Reading on Friday 26th October. It will now move to the House of Lords. 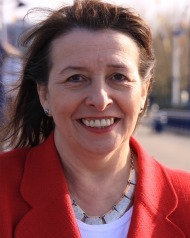 The Bill, which was brought forward by MP Karen Buck, will give renters in Erith and Thamesmead and across the country the right to take their landlord to court over unsafe and poor housing conditions. More than 135,000 homes in the London region have a hazard in their rented home which poses a “serious and immediate risk to health and safety”, according to the recent official statistics. This is the equivalent of 1 in every 12 rented homes in London. The ‘Fitness for Human Habitation’ Bill has cross-party support and was has been backed by the government. It has also been supported by organisations across the housing sector, including Shelter, the Residential Landlords Association, the National Landlord Association and the National Housing Federation. “Every day at Shelter we hear from private and social renters forced to live in poor and sometimes dangerous conditions, unable to tackle safety concerns or legally challenge their landlord. “Thanks to Teresa Pearce MP and MPs from all the major parties, we are delighted to be one step closer to creating a minimum safety standard for rented homes. This Bill will help stamp out the actions of rogue landlords and protect renters across the country, and we’re looking forward to supporting it through its final stages before it becomes law”. This entry was posted in Articles, House of Commons, News, Press Notices, Quotes and tagged Fitness for Human Habitation Bill, homes fit for human habitation, housing, Housing and Planning Bill 2016, rented accommodation, safe accommodation. Bookmark the permalink.